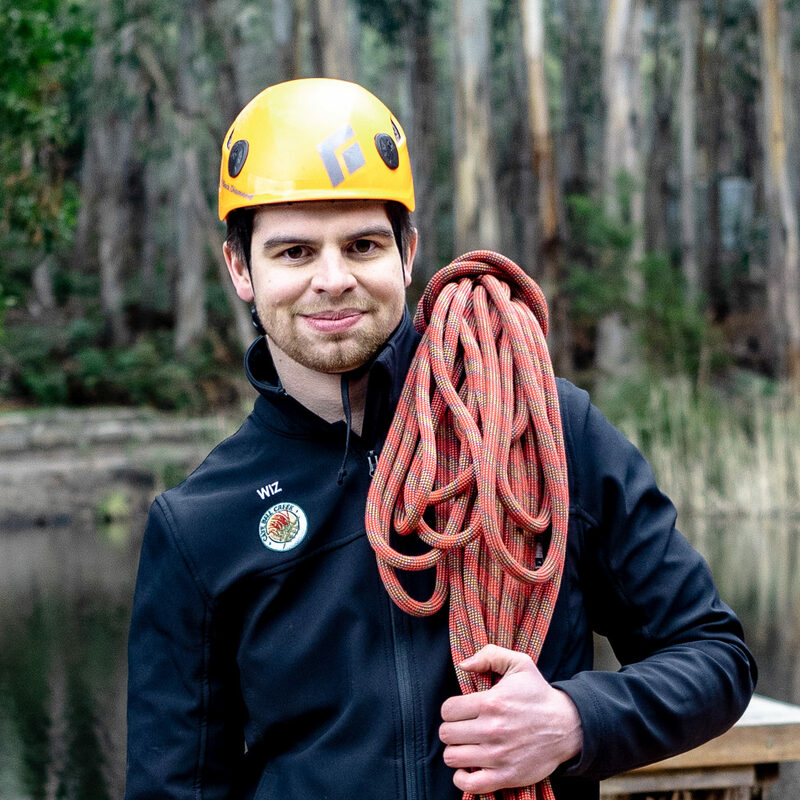 At Cave Hill Creek we create experiences and lifelong memories, be it the fun of school camp, the adventure of walking the Beeripmo Track or the treasured place you were married! We are well known and highly respected for our innovative, quality and fun programs, genuinely warm hospitality and stunning natural setting. In 2018 we were awarded Gold at the Australian Tourism Awards. Cave Hill Creek was established by Ian and Julie Chandler in 1988. Back then Cave Hill Creek was simply a sheep paddock with perhaps 25 mature trees, no lake, buildings or beautiful gardens. A farmer and a teacher, they saw incredible opportunity to create a spectacular lake, group accommodation and function venue on this picturesque parcel of land at the top of the Raglan Valley. With a passion for hospitality, hard work and a keen eye for the environment, like their young family, Cave Hill Creek steadily grew. 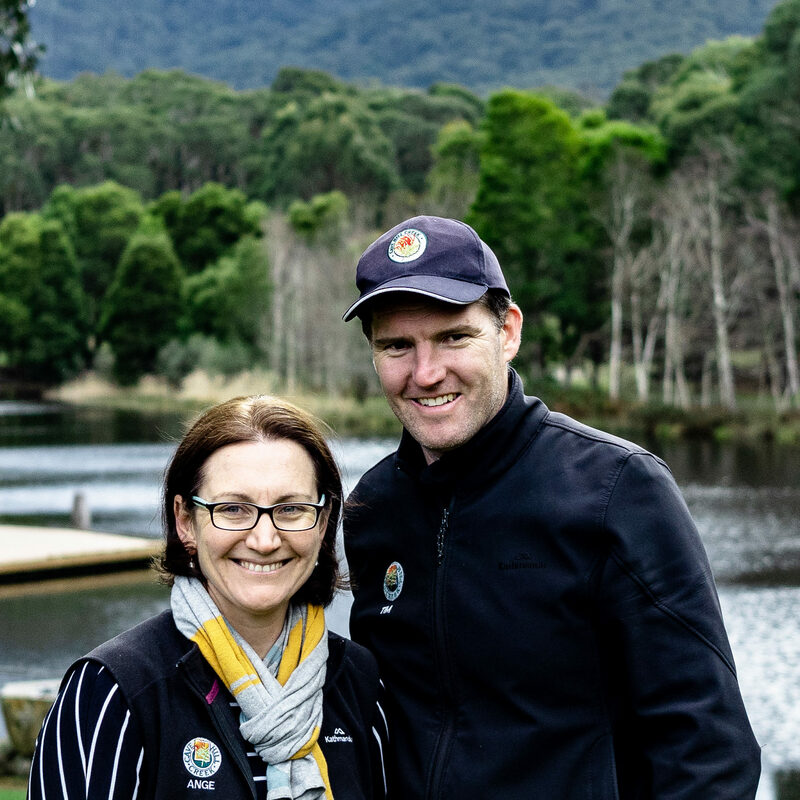 Today Cave Hill Creek is run by second-generation owners Tim and Angela Chandler. It is a year-round operation hosting 10,000 guests annually on camps, walks and weddings. A commitment to tourism and education excellence, and a continual improvement program, rewards guests with new and exciting experiences every time they visit. In 2018 Cave Hill Creek was awarded Gold at the Australian Tourism Awards, and was inducted into the prestigious Victorian Tourism Hall of Fame after winning three consecutive golds at the RACV Victorian Tourism Awards. We are often asked about the origins of the name Cave Hill Creek. It is quite simple really; the creek that flows through our lake is known as the ‘Cave Hill Creek’. The Cave Hill Creek cascades over Raglan Falls and down off the northern slopes of Cave Hill in the surrounding Mount Cole State Forest. It is at Raglan Falls, over the granite cliffs that visitors to Cave Hill Creek can try abseiling. Similar is the logic behind the origins of the name Cave Hill. That is, the southern slopes of Cave Hill feature a large cavern created when the lower half of a large rock face collapsed leaving a large overhang. The local Beeripmo Balug aborigines refer to the cave as Bukkertillible. It can be seen clearly to the north when driving along the Western Highway M8 between Beaufort and Buangor. Cave Hill Creek’s logo also finds it origin in the local forest. It features a flowering Grevillea montis-cole (commonly known as Grevillea Mount Cole or The Glut Grevillea). The grevillea is endemic to the eastern slopes from the Glut picnic ground to Cave Hill Creek. It is a small shrub identifiable by its red flower from October to March. Grevillea montis-cole is listed as rare in Victoria. Cave Hill Creek was established by Ian and Julie Chandler in 1988 and is now run by second-generation owners, Tim and Ange Chandler. We love sharing our beautiful location with visitors to Cave Hill Creek. Ange is practical and articulate while Tim is a keen photographer and loves a chat. Brad leads our catering and housekeeping team. A qualified chef Brad enjoys creating tasty menus for our guests and is very cool under pressure. Brad has 16 years experience and always has a welcoming smile. 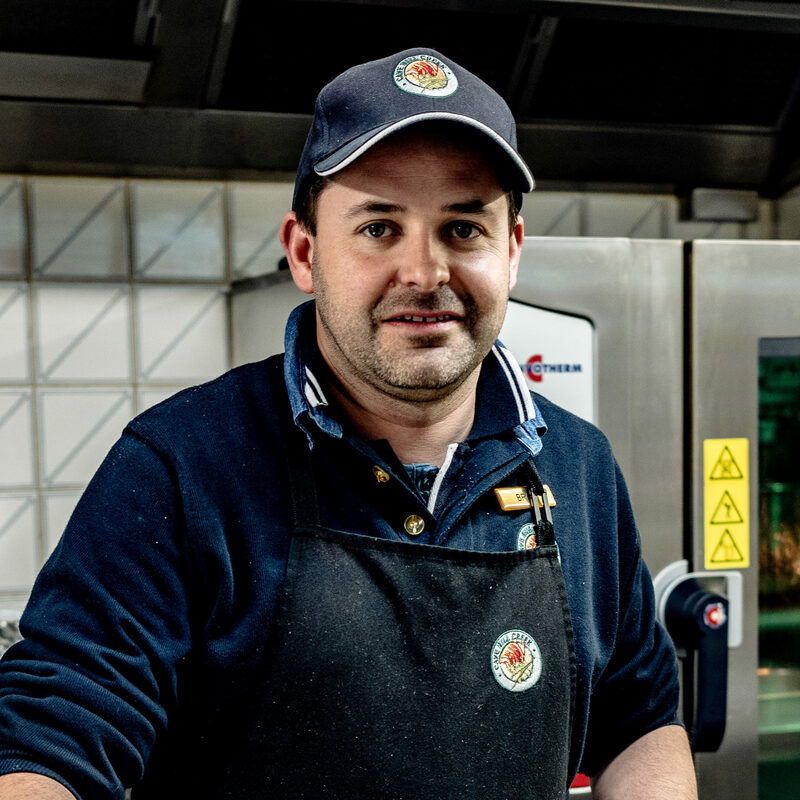 Brad specialises in delivering high-quality catering to large groups and his experience means he can deliver – from weddings and corporate functions right through to school camps. Brad’s favourite dessert is a rich chocolate brownie with King Island double cream. Wiz is our Outdoor Program Manager, which (if you ask him) is the best job here! He has come full circle attending Cave Hill Creek on camp in primary school. He enjoyed it so much he studied Outdoor Education at university, took up adventure racing and finally made his way back to where it all began! He now spends his time organising school camps, and creating lifelong memories like his own for you. In his spare time he is an SES volunteer. 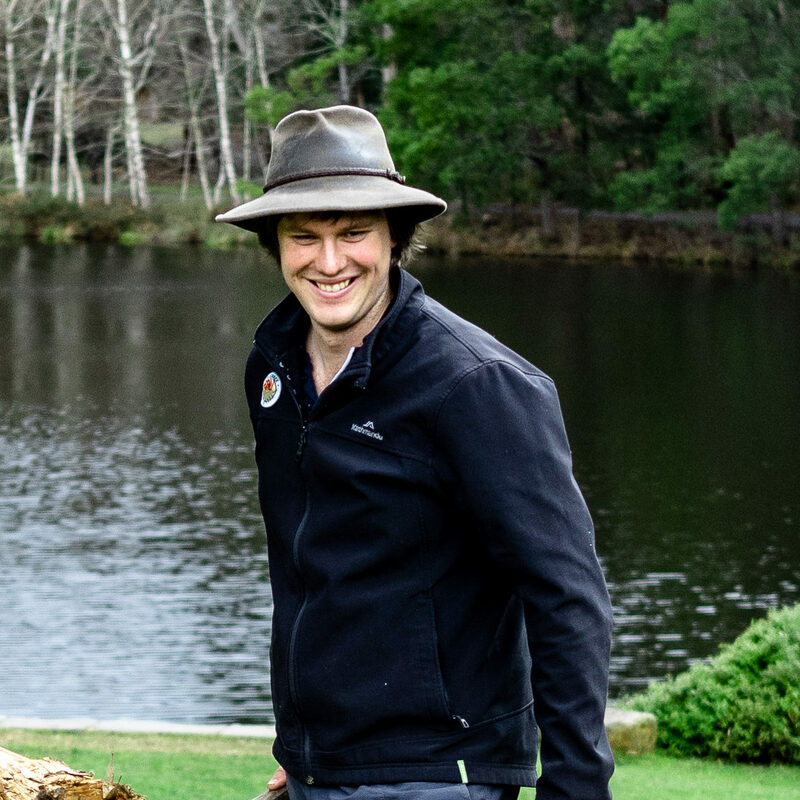 John started his Cave Hill Creek journey as an activity instructor and is now responsible for the presentation of our picturesque grounds and buildings. He lives on site with his young family. John’s creativity assists with the continual improvement of Cave Hill Creek’s facilities, while his jack-of-all-trades nature means that no maintenance issue is too hard. You will regularly see John driving around on the tractor, but you can still occasionally meet him on the end of an abseil rope or paddling a canoe. 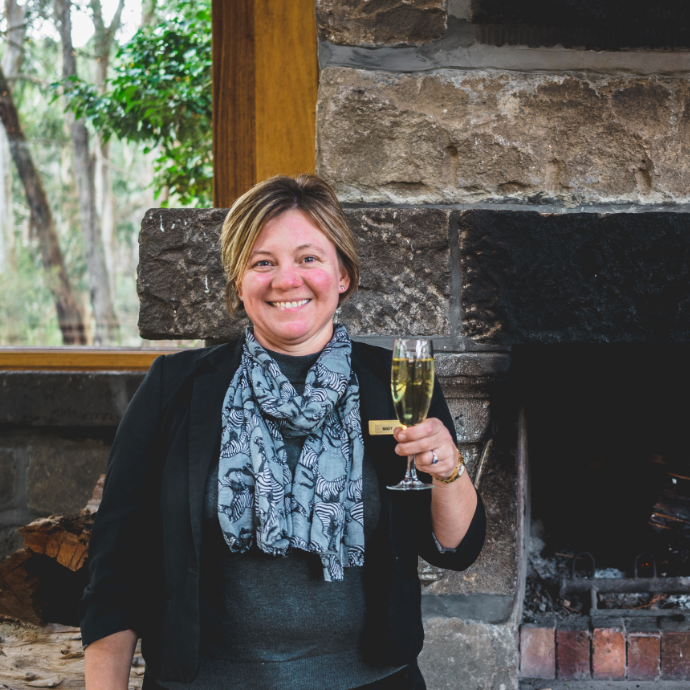 Mandy has a wealth of experience in the hospitality industry. Her career has taken her around the world and includes corporate event management, boutique hotels and her own French restaurant in Scotland (just up the road from Glenfiddich). Her genuine passion for hospitality shines through in the outstanding service she provides to guests. Mandy is a lover of French champagne.